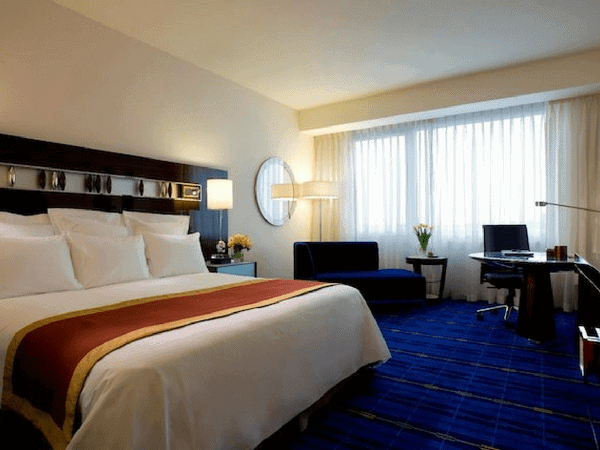 Airport hotels can be a necessary part of business travel. Whilst they are convenient, the location often means you’re stuck in the hotel with nothing within easy reach unless you want to travel into the city (which sort of defeats the point!). 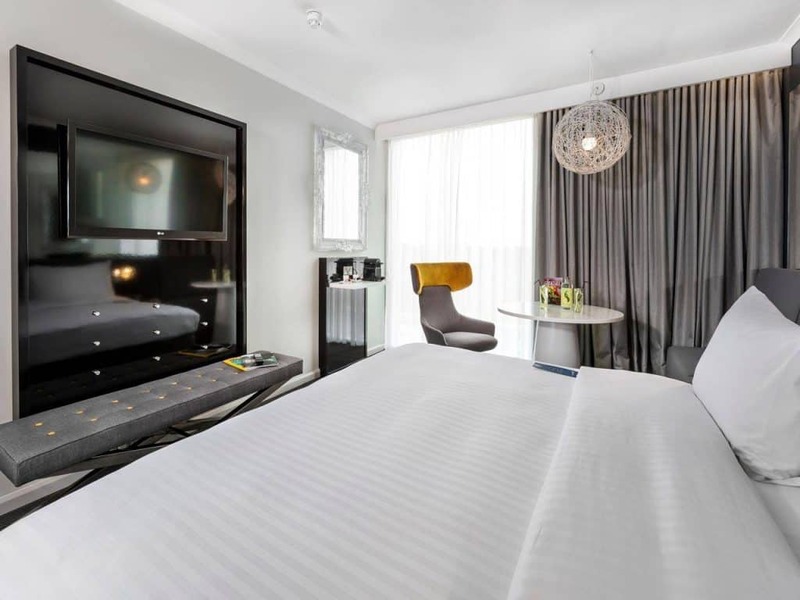 Typically they have got a bad rep for being functional but uninspiring, however more recently there has been a movement towards offering top of the range facilities, luxurious rooms and highly recommended restaurants. Want to know which airport hotels are bucking the trend? Read on! 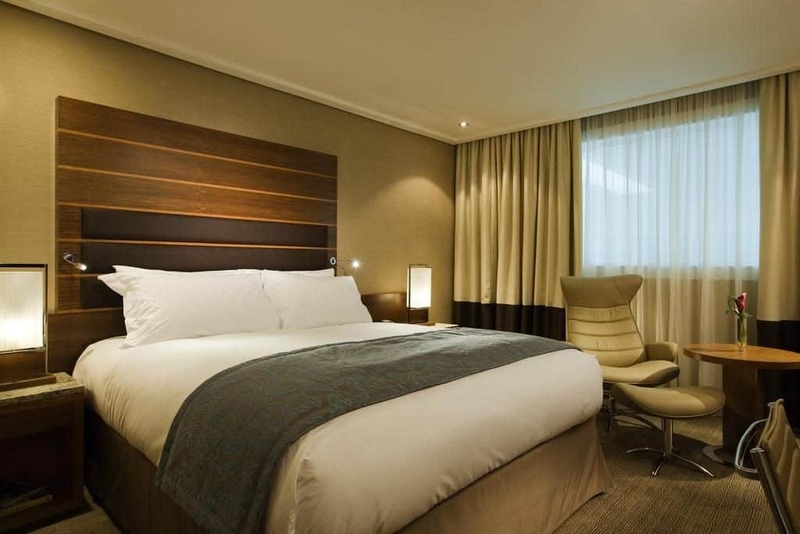 Starting close to home, using an airport hotel the night before an early flight out of London can be a great way to avoid an exhaustingly early morning. 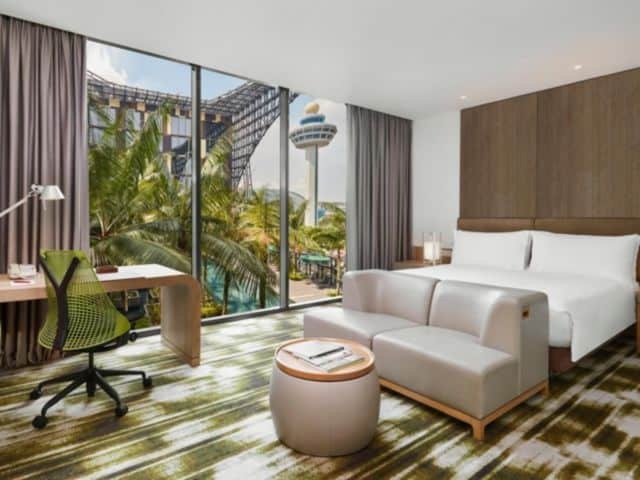 The Sofitel comes highly recommended both for convenience and facilities, in fact it was voted the Skytrax 5th best airport hotel in the world. In terms of location, it is connected to Terminal 5 through an indoor walkway, but you can also easily get to any of the other terminals via bus or the Heathrow Connect train. The rooms? Soundproofed, modern and elegant with the added luxury of Swarovski bathrooms if you stay in an Imperial Suite. The amenities? Le Bar Parisien bar serves quality champagne, the Sphere lounge offers cocktails by the fire and the La Belle Époque restaurant offers gourmet French cuisine. An all round good option if you find yourself at Heathrow for the night. 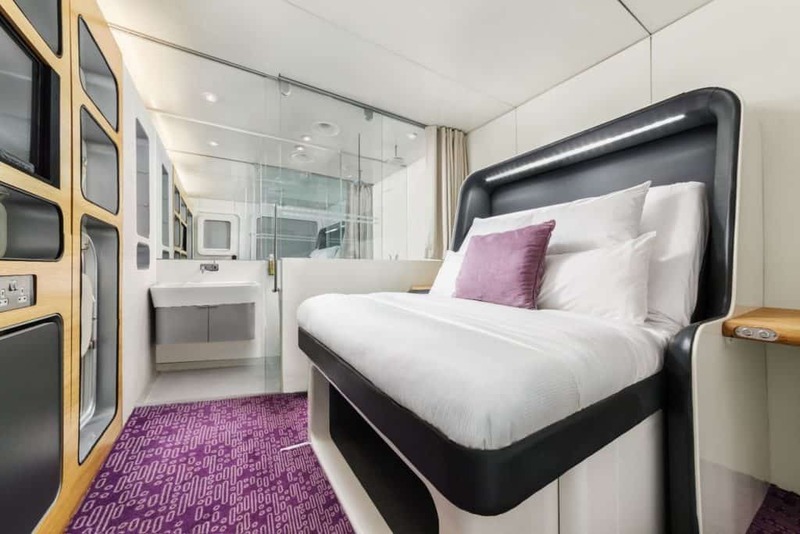 Yotel Gatwick is literally in the airport and offers ‘futuristic cabins’ to travellers wanting to be on site before their flight or if you arrive and have a few hours to kill before your flight and don’t have lounge access. 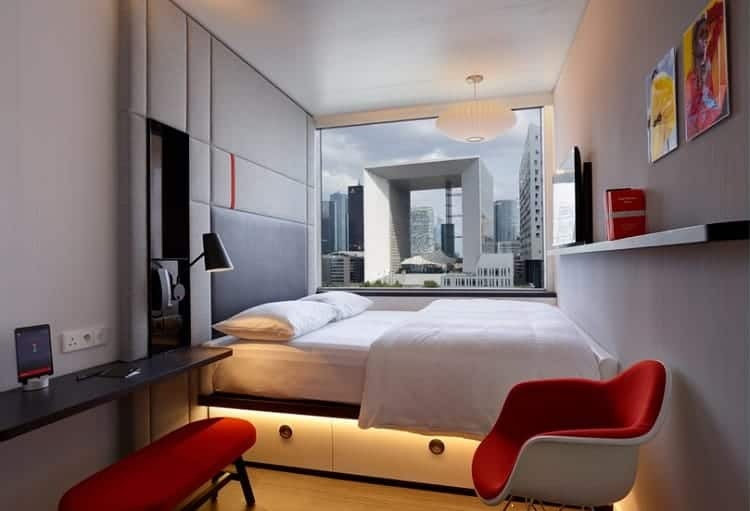 They offer ‘cabins’ with a whole plethora of mod-cons including adjustable smart beds, super fast wi-fi, memory foam mattress and noise cancelling earplugs that are quite incredible! The cabins are functional and well designed but space is at a premium so don’t expect lots of room to move around. Oh and it’s underground so the high tech mood lighting replaces windows, meaning you can get rest at any time of day or night! A two-minute walk to the airport makes the Radisson Bue a great option if you want to be on site but get as much sleep as possible. It also offers a fitness club, restaurant and high-speed wifi but the big draw is the incredible lobby bar. It’s unique Wine Tower Bar is a refrigerated tower that is so tall the staff have to wear harnesses and climb up the tower to reach the wine you’ve ordered. A hop across to Paris can mean a quick turn around and no time to go into the city. CitizenM ranks highly for a lot of people. Why? Wall to wall windows, transport themed items on the walls (including plane propellers and bicycles!) and lets not forget the state-of-the-art MoodPads allowing you to control everything from your TV, window blinds and temperature to the sound made by your alarm clock and the colour of your lighting. Food wise, the hotel’s open kitchen (canteenM), serves local Parisian cuisine, so you can start the day Paris-style with a coffee and a croissant. You can’t get much more convenient than this airport hotel where you don’t even have to leave the building but you are also only 30 minutes by train to the city. Soundproofed rooms with large bathrooms are the result of a renovation in 2017 and the Spa is highly recommended. The Charles Lindbergh restaurant offers fine dining as well as weekly themed buffets. 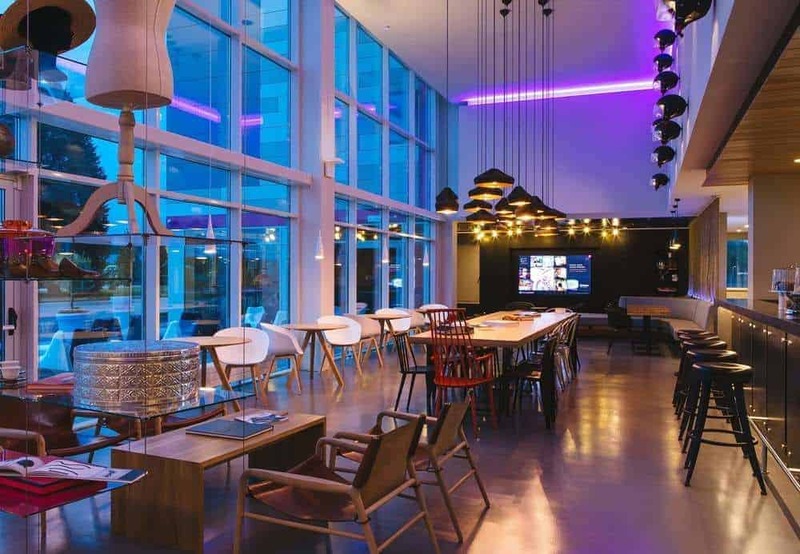 In 2014 the first Moxy hotel was launched at Milan Malpensa under the Marriott umbrella as a stylish but affordable hotel. No front desks, an Instagram wall and provocative artwork. It appealed to millennials and was so popular, it has been rolled out across the world. As you can imagine, the rooms are high tech (56″ TV anyone?) with a focus on using the communal spaces rather than spending too much time in your room. Food is more grab and go than fine cuisine but is served day and night so you never need worry about getting hungry. The Hilton at Amsterdam Schipol has quite a spectacular exterior, and the interior doesn’t disappoint either. The Bowery restaurant offers Asian and Dutch food as well as live cooking stations for a more interactive dining experience. The executive lounge caters for business travellers and offers stunning views whilst the cocktail bar is highly recommended. Rooms are everything you would expect them to be, soundproofed, high-speed wifi, comfy beds and big TV’s. Located very close to Hong Kong International Airport the hotel provides a free shuttle to the terminal building every 20 minutes. King sized beds sweeping views of either the airport, Lantau Island or the sea make the rooms a great place to kill a few hours, or if you want to stay awake and beat the jet lag, the five restaurants and bars or the award-winning Quan Spa should keep you busy. Plus it’s only 28 minutes from the city so if you have some spare time during your trip, you can go in to the city without too much trouble. In the heart of Dubai International Airport’s Terminal 3, the Dubai International Hotel is very well situated, ideal for those in transit. Rooms are bright and colourful, with flat screen TVs and complimentary fruit baskets, while the suites offer relaxing massage chairs. There’s a swimming pool, Jacuzzi, steam room and sauna here, as well as a choice of no less than 14 restaurants, including a tapas bar, and Irish bar and the excellent Cho Gao Asian restaurant and lounge. Consistently voted one of the World’s Best Airport Hotel, including by Skytrax in 2017 for the third year in a row, the Crowne Plaza should be high on your list. 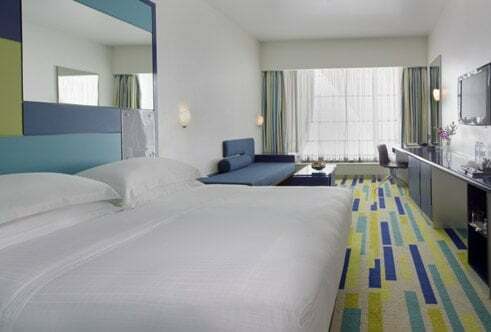 Many of the rooms have runway views, all are spacious, soundproofed, have floor to ceiling windows. The communal spaces include a landscaped outdoor pool set in lush, tropical gardens, a spa and a high spec fitness centre. The four restaurants and bars offer a range of cuisines including traditional Cantonese dishes.